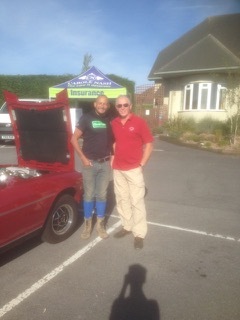 On Drive-it-Day this year I was told about a forthcoming Pub-Meet to be held at the Ten Tors Inn, Kingsteignton, Devon and hosted by non other than Fuzz Townshend of Car SOS fame. 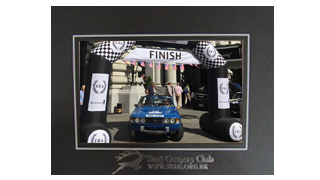 I subsequently registered my interest and received regular emails about the event, which was sponsored by Carole Nash insurance. 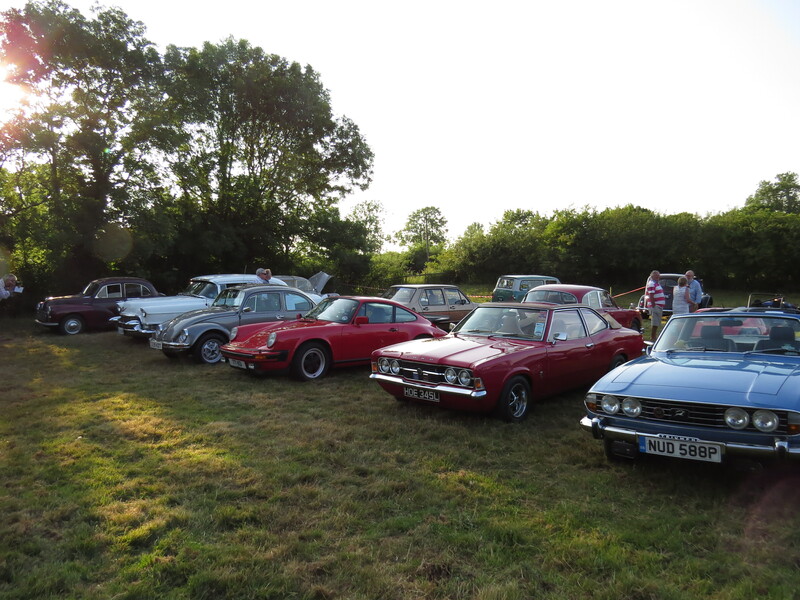 The evening of the event was fine and dry, so I left home in plenty of time to ensure that I got a parking space as it was sure to be a popular event and the pub car park wasn’t the largest! As it happened, mine was the second car to arrive. Already in the car park was a very rare Japanese car; a Mitsuoka Le-Seyde, the long white car visible in one of the photos. Fuzz wasted little time in walking over and introducing himself, and then spent ages poring over my Stag. He was particularly interested in my home-engineered ZF conversion, having converted a manual Stag to BW35 on one of their shows. Fuzz himself was an exceptionally approachable and friendly person. 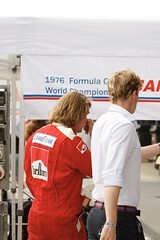 You hear so many tales of TV personalities who are rather pretentious, but he was extremely down-to-earth and seemed genuinely interested in all the cars that turned up. Mine was the only Stag, and there were a handful of other Triumphs among many ‘modern classics’, Rat Rods, VW vans/buses and Yanks. 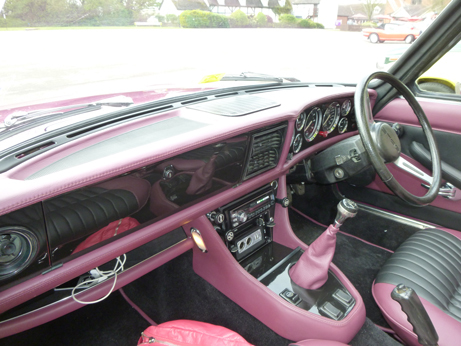 Devon Area Deputy Co-ordinator Sue, and hubby John, turned up in their MX5 as they were on their way home from a trip to the Big City (Exeter!). These Pub-Meets take place all over the country, and if you hear of one in your area, why not turn up? 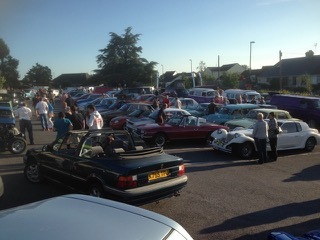 Not only is there Fuzz Townshend, a free raffle, a BBQ, and a great selection of cars, but the first drink is free! So all done for another year, and what a show it was!!! 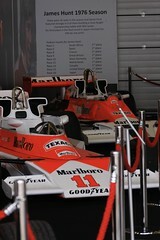 3 days of car heaven, and slightly sore feet – legs – back, will be good to be back at work for a rest!!! 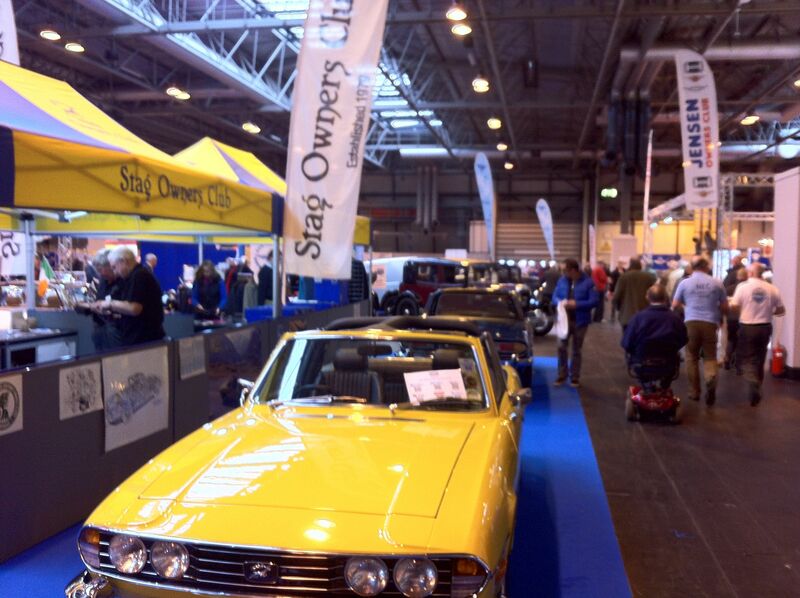 Sunday was only slightly quieter than Saturday but our stand was still buzzing with people. We ran out of “Pimp my Stag” and “Build my Stag” so sorry if you couldn’t be creative but never fear the templates will be on our Facebook page for any of you budding artists to get creative! All we ask is you take a piccie and post it back onto our page so we can show your talents to the world!! We took loads more pics – just nip over to our Flickr pages to see them all. For me, what were the best bits….. Spending 3 days with great folks – can’t wait till next year!!! By the way the bad bits ……. Taking 40 Seconds to remove 4 spark plugs on the Carole Nash stand and not getting time to try again!!!!! And so we begin the 3 days of glorious cars, entertainment from the chaps at Wheeler Dealers and meeting lots of new friends on the Stag Owners Club stand. We are in Hall 12 this year so come along and join in the fun and check out the fab 4 that we have on our stand this year. A few have been busy already…. 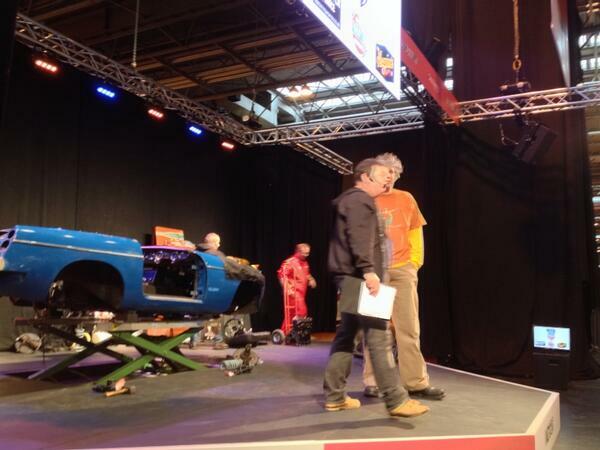 The chaps over on the Live Stage – Mike Brewer, Edd China and Paul Brackley have a challenge this year to bring back to life this 1975 MGB – Good luck boys!! 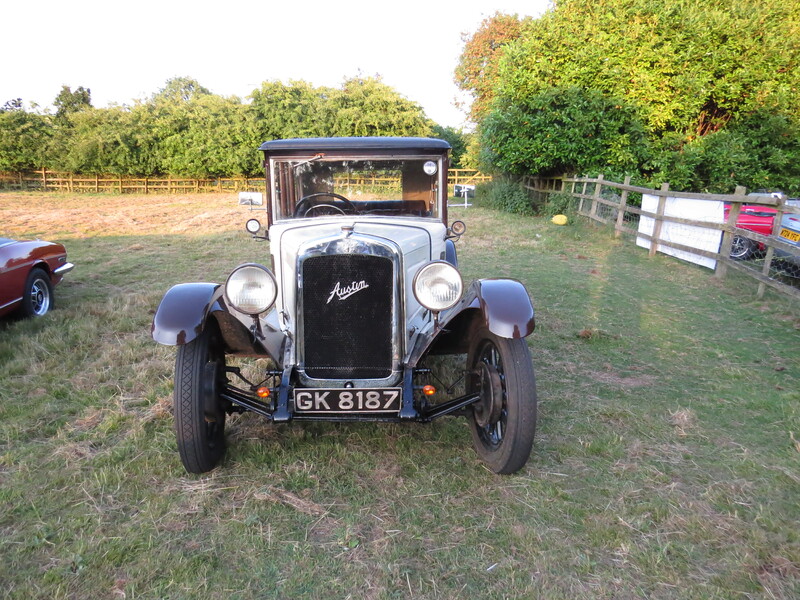 And for a bit of a challenge for the rest of us – pop along to the Carole Nash stand and see how long it takes you to remove 4 spark plugs (it took me 40 seconds – must try harder next time!!!) but did get to say Hi to Fuzz Townsend and get my sash signed – Thanks Fuzz!!! 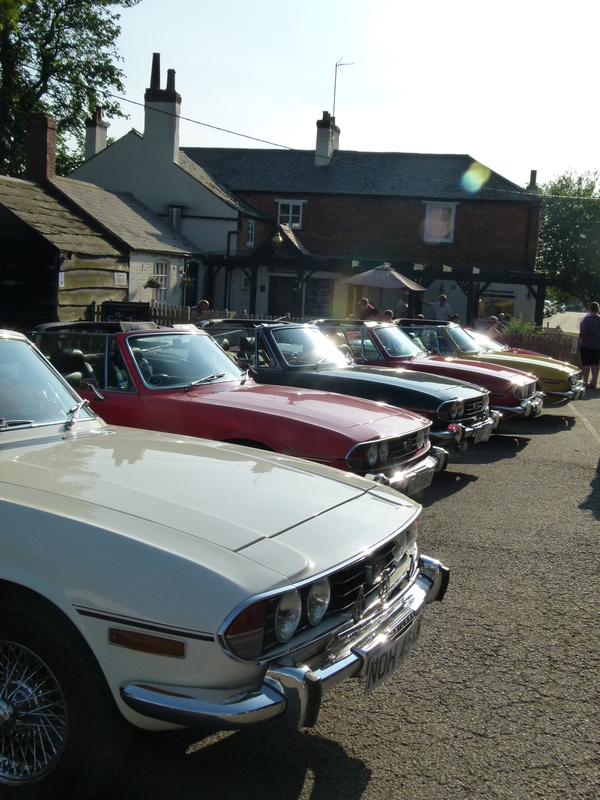 Classic car owners in general were given a real treat last evening (18th July) in the picturesque village of Hallaton in Leicestershire. A few of us from that area decided to go along, some after a lovely day out around Rutland water, others later after they finished their lovely days in the office/workshop etc. 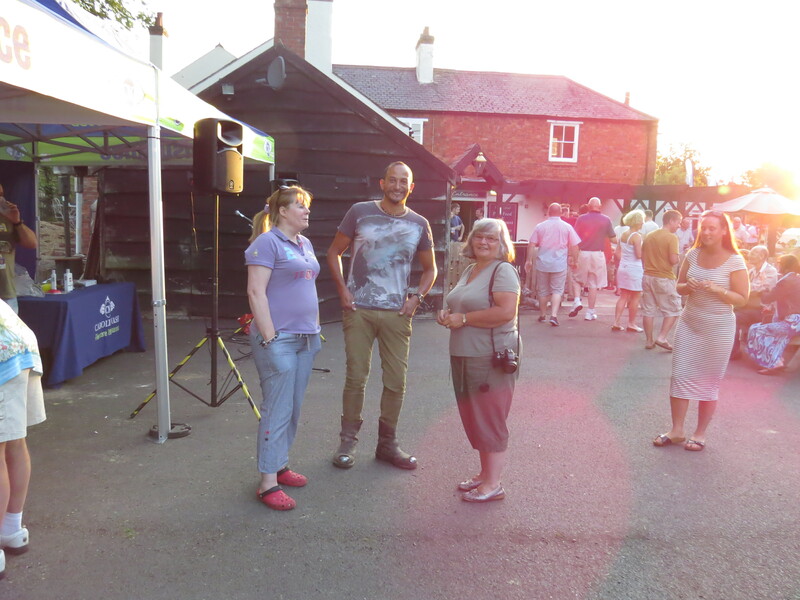 The event was a general get together of classics of all shapes, sizes and ages to enjoy some excellent food and drinks and meet, greet and otherwise grill the front man from Car SOS – Fuzz Townshend. The whole event was put on by Carole Nash so a special thank you to them for a really good do! The Stags managed to get to park up together (cos they do look very classy when all lined up) in the first car park, that soon filled up and the remaining cars ranging from vintage Austin’s, MG’s, E-type, Mercedes, Aston Martin to a very nice Ford Cortina, filled the remaining spaces and then overflowed onto the fields adjoining. After the obligatory greetings and general chat it was time to get down the the serious part of the evening – the food!!! Well not quite the cars and having a chat with Fuzz was of course the highlight but have to say the grub was a bit special. We did sit close so got in quickly, well hard day at the office and some of us were starving!